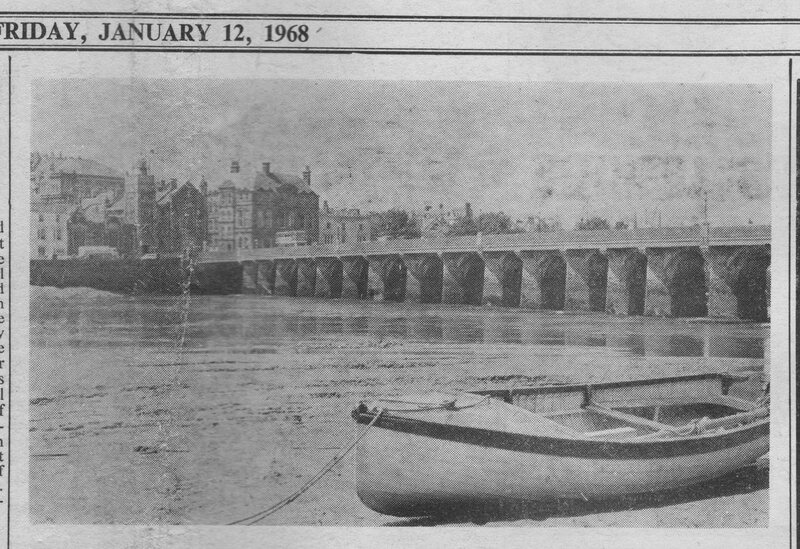 Bideford's lifeline, the famous 700-year-old Long Bridge, was cut with dramatic suddenness on Tuesday night, masonry falling into the river from two arches adjoining the western end. 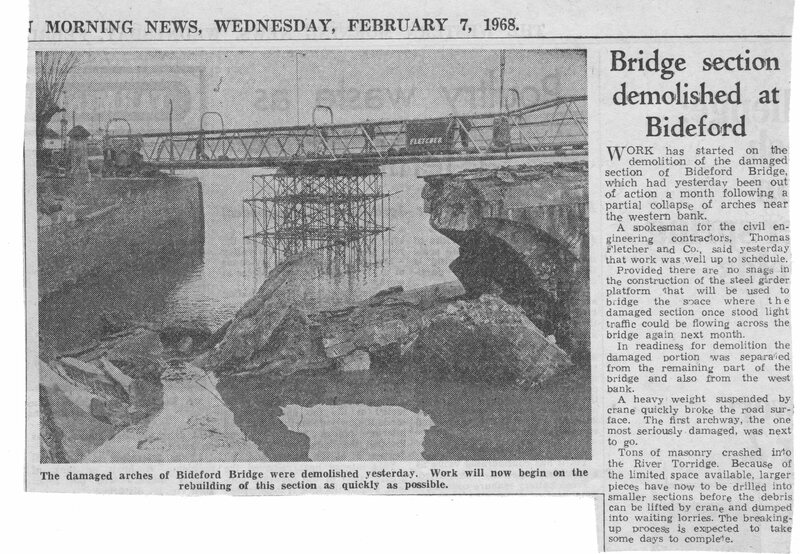 No one was injured but the effect on the lives of the many thousands who use the bridge daily was paralysing. Immediately after the alarm was given police closed the bridge to all traffic, and it was later closed to pedestrians. 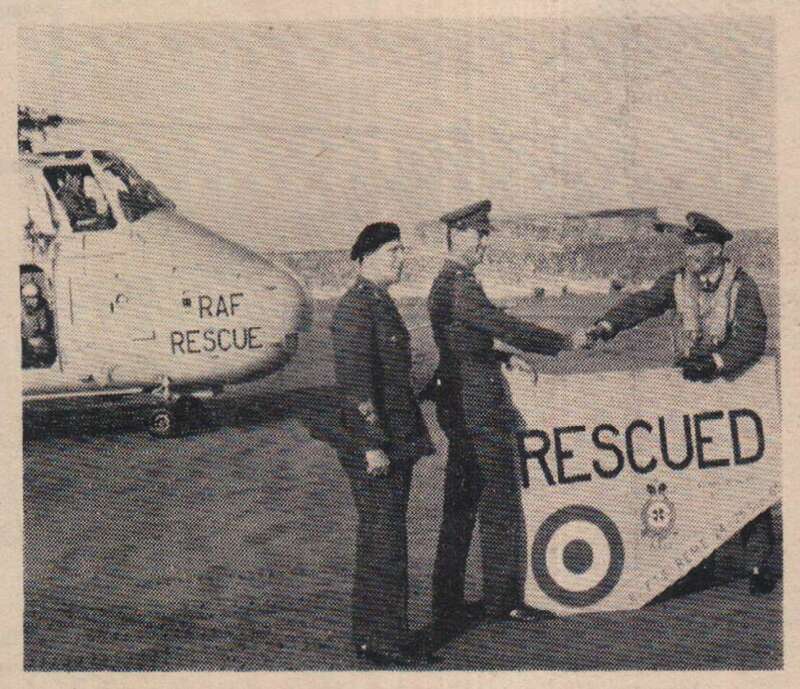 In recognition of help given in the recovery of a crashed helicopter from the River Torridge, the RAF Chivenor air rescue team presented to the Fording Trials Branch, Technical Group REME, of Instow, part of the crashed helicopter with letter 'D' added to the word 'rescue' plus an inscription. 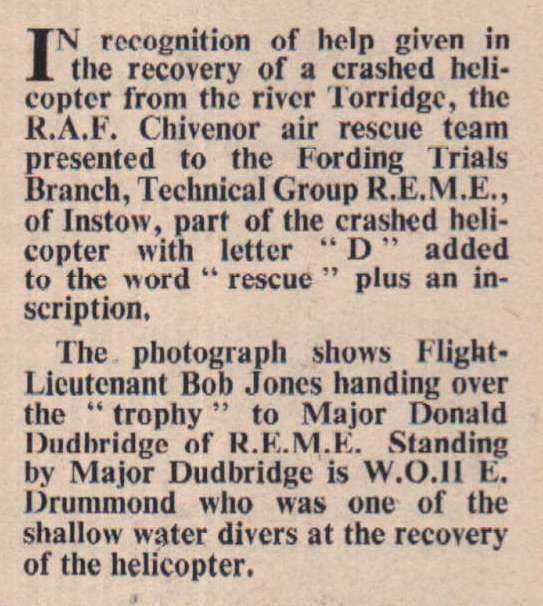 The photograph shows Flight Lieutenant Bob Jones handing over the 'trophy' to Major Donald Dudbridge of REME. 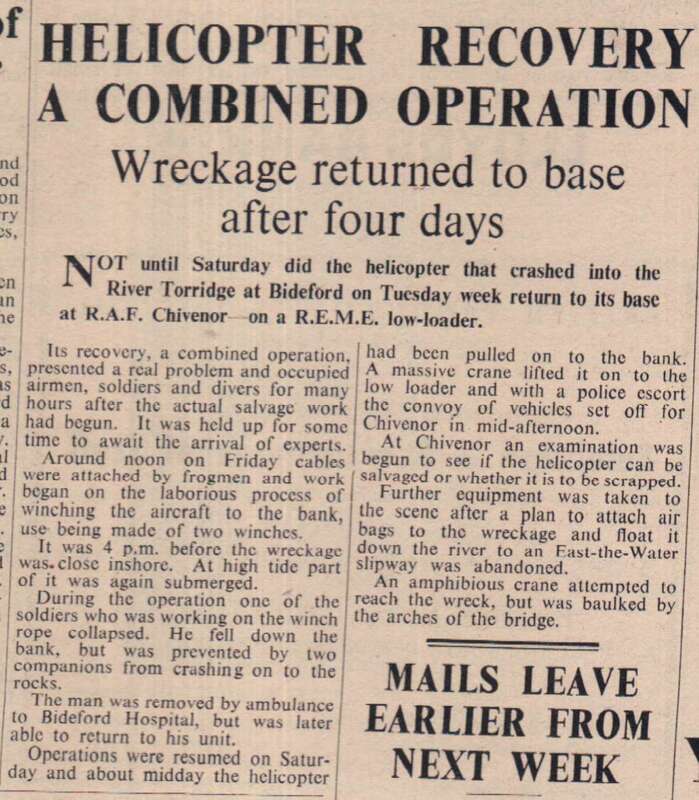 Standing by Major Dudbridge is WO11 E Drummond who was one of the shallow water divers at the recovery of the helicopter. 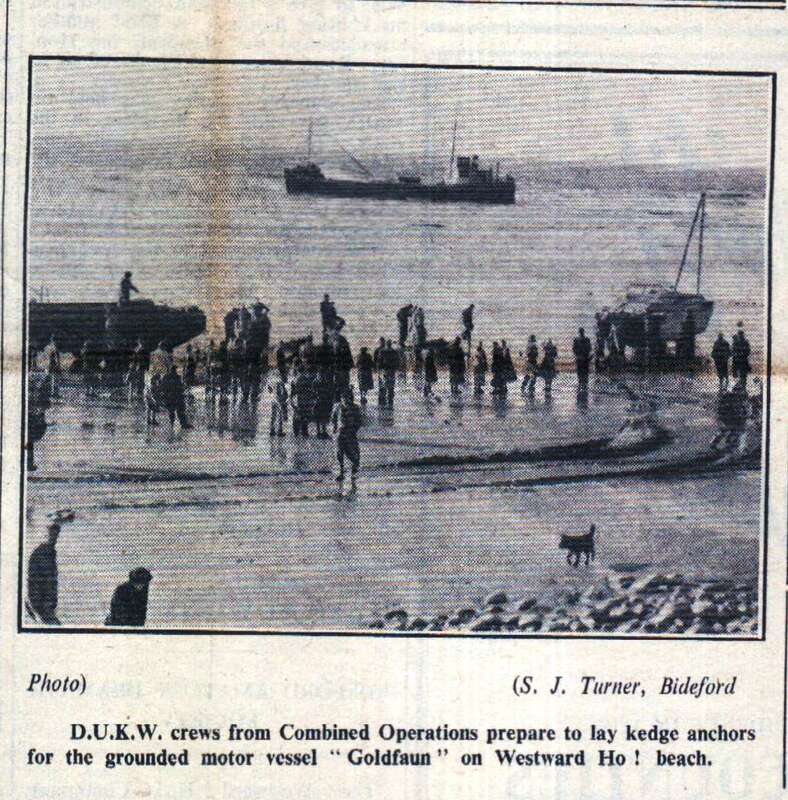 In thick fog late on Friday night the 318 ton motor vessel, Goldfaun, registered in London, went ashore on Westward Ho! beach about one mile north-east of Westward Ho! slipway. 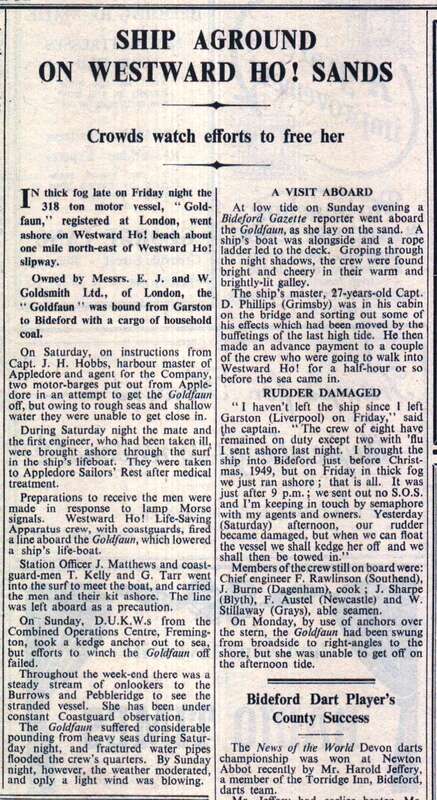 Owned by Messrs E J and W Goldsmith Ltd of London, the Goldfaun was bound from Garston to Bideford with a cargo of household coal. Work has started on the demolition of the damaged section of Bideford Bridge, which had yesterday been out of action a month following a partial collapse of arches near the western bank. A spokeman for the civil engineering contractors, Thomas Fletcher and Co., said yesterday that work was well up to schedule. Rumours, which later turned out to be incorrect, that another yacht was also involved led to Appledore lifeboat searching the Fairway Buoy areas of the Taw and Torridge estuary on Friday after the 22-foot sailing cabin cruiser, Tilikum, was turned head over tail by a stern wave. 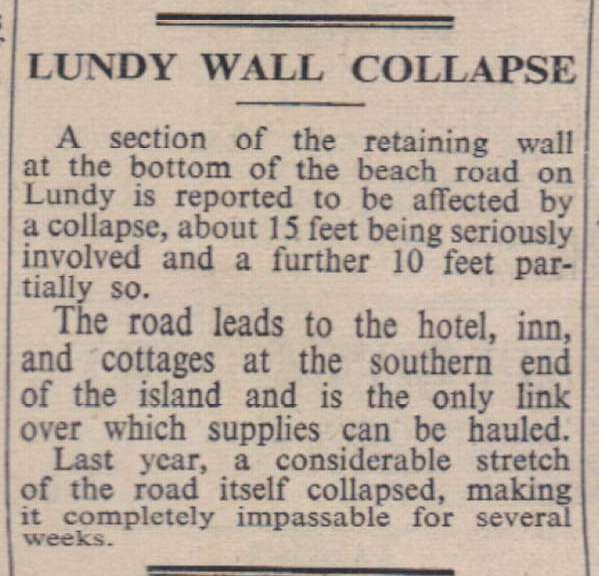 A section of the retaining wall at the bottom of the beach road on Lundy is reported to be affected by a collapse, about 15 feet being seriously involved and a further 10 feet partially so. The road leads to the hotel, inn and cottages at the southern end of the island and is the only link over which supplies can be hauled. Last year, a considerable stretch of the road itself collapsed, making it completely impassable for several weeks. Prompt action by two Appledore fishermen, Messrs Sidney and George Cann resulted in the rescue of a 14-year-old Barnstaple girl, Octavia Cummings, from the Torridge on Saturday. They were tarring a boat near Appledore when they heard a cry for help. They went out in a motor boat, picked up the girl who was being swept out by the ebbing tide into the estuary and landed her at Instow. Mr Andy Bowden, of Appledore, carried out what he thought was a smart piece of salvage when he towed an apparently abandoned cabin cruiser from the South Tail on Bideford Bar and moored it safely 100 yards off the slipway at West Appledore. 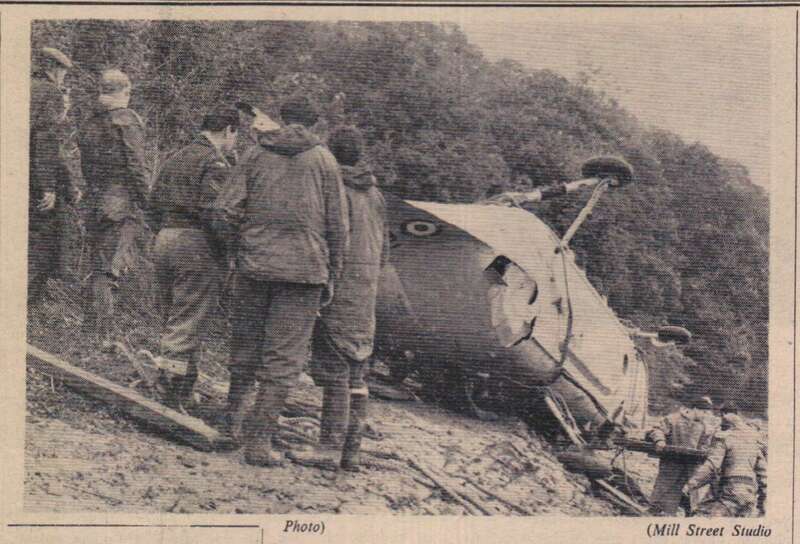 But while he was having a drink in the local pub, the owner of the yacht, Mr R J Parsley, of Barnstaple, recovered it.